Learning should never be constrained by time and space, especially when the learners are young ingenious minds. Alphabets are a building block for reading, writing and language skills. 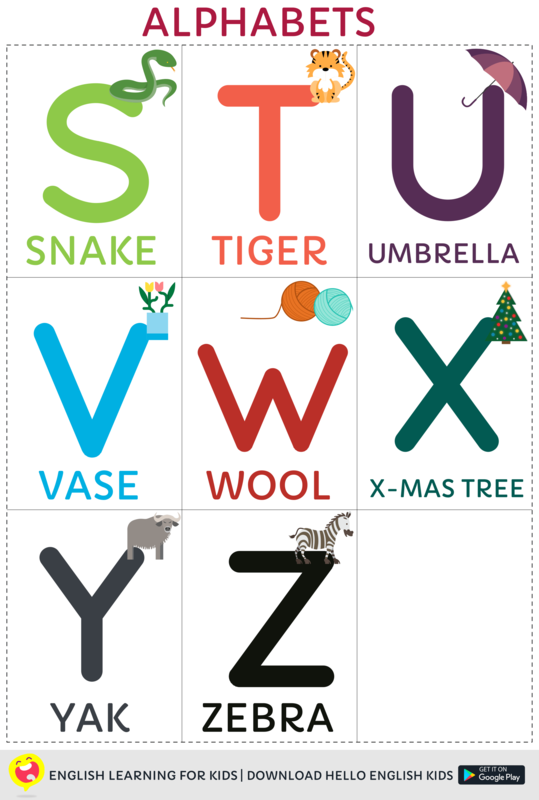 Presenting A-Z Alphabets printable for your child. Hello English Kids Printables are creatively designed charts with high-quality graphics that can be printed with ease at home to let your little one have access to fun-learning paraphernalia anytime and every time. Dive into the world of English alphabets covering letters A to Z, with colourful pictures and cute fonts! You can also find these printables in high quality (PDF form) at the end of the post. Why is learning alphabets important for my child? When can I teach my child alphabets? Learning the alphabet should begin early in a child’s life. Children should be well on their way to alphabet mastery before preschool age and should certainly be at least introduced to the letters before the age of three. 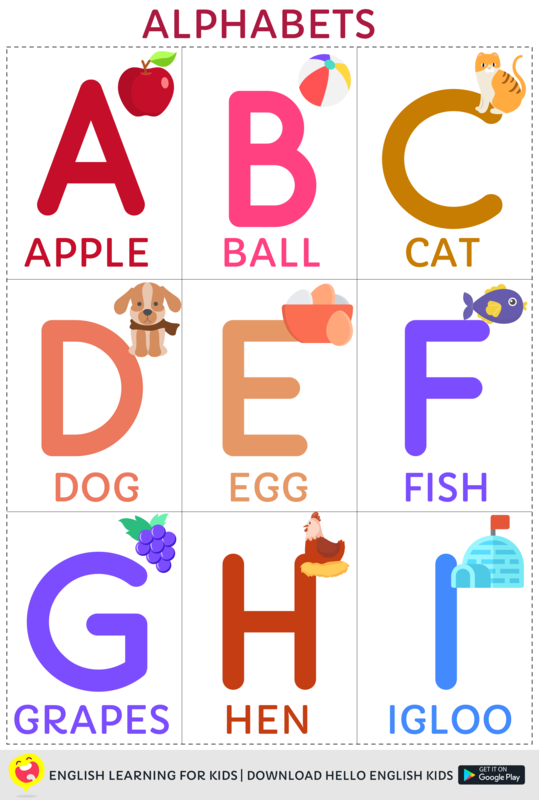 How can I teach alphabets A to Z to my child? The idea is not to teach all 26 letters at once. Focus on a few letters at a time and allow your child to see, hear, and experience those letters in a variety of ways. Remember that children learn by utilizing their senses so while alphabet books can be a helpful learning tool you should utilize a number of approaches to teach the ABCs. The most important teaching tip of all is to make it fun. Make it a game and your child will love learning with you and from you. Hello English Kids teaches alphabets A-Z with fun activities like letter revealing, letter-object association games, tracing activities and more which don’t just teach alphabet recognition but also sounds, writing, and objects associated with each letter. Our printables are something that you can show to your child every day – few letters at a time. You can even buy or make letters that children can experience in 3-D and let the child construct letters as well using play dough. Alphabet colouring pages and crafts can also help reinforce your child’s knowledge of letters. 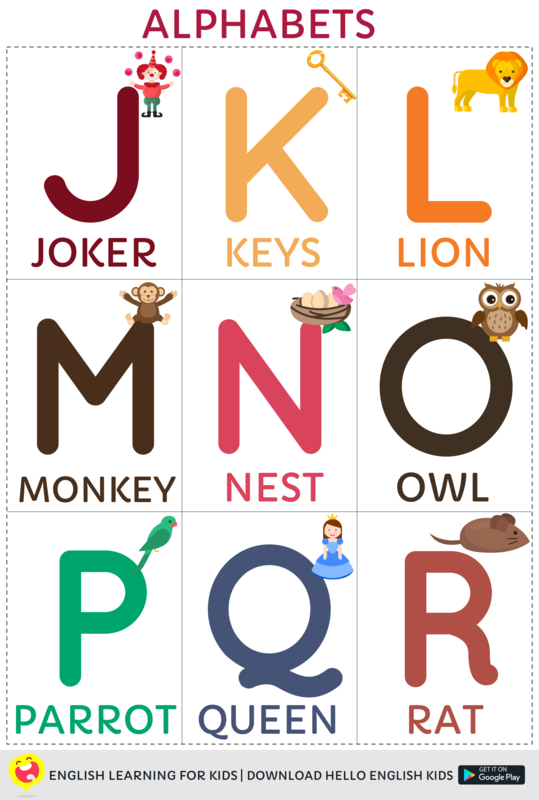 Click on the images to download and print these fun charts to teach A to Z to your budding genius!  With Hello English Kids, help your child take the first step towards a bright future!